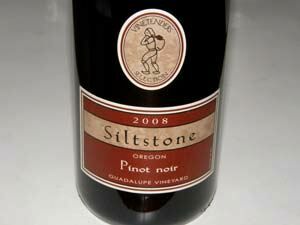 The story of Siltstone Wines begins in Sacramento, California. The Myers family, parents Tucson and Lonnie, and sons Mark and Joel, lived across the street from Charles and Shirley Coury and their two boys, Brad and Charley. Charles was studying Enology and Viticulture at University of California at Davis, and was finishing his Masters thesis on cool climate viticulture. Through the Courys, the Myers met other young students in the University of California at Davis program including Werner Koblet and David Lett. In the mid 1960s, Joel's father accepted a position with the State of Oregon and moved his family to Silverton, Oregon. Both Coury and Lett had moved north and were establishing vineyards. The Myers family frequently visited the Courys and Letts. Joe grew up in Silverton and worked on farms since the age of 10. One of his first jobs was to help the Letts plant and trellis their vineyards in the Dundee Hills in the mid 1960s. Joel took a semester off from college in 1976 to visit vineyards, research stations, and wineries in Germany, Austria and Yugoslavia with Charles Coury. In 1979, Joel graduated from the University of Oregon with a degree in Geography and Environmental Science. His first job was a harvest position in the vineyard of David Lett at The Eyrie Vineyard. He subsequently became a full-time vineyard and cellar manager. Joel met Louise Bernards, a teacher and artist from a local farm family, who was working for the Letts as well. They were married in 1981 and traveled to Switzerland, where Joel worked with Dr. Werner Koblet, David Lett's colleague from University of California at Davis. Koblet was one of Europe's leading researchers in viticulture. Joel developed extensive know how in vine physiology, disease control, and clonal studies and returned to Oregon with a renewed interest in the potential for Oregon viticulture. In 1984, Joel founded Vinetenders, a company specializing in vineyard management. Vinetenders currently manages over 500 acres of prime vineyard property in the northern Willamette Valley. Stilstone's first vintage was in 2000 which Joel has carried on successfully with his wife Louise, and sons Joey, John and David. The wines are sourced exclusively from Guadalupe, Blacktail and Hyland vineyards and include Pinot Noir, Pinot Gris and Riesling. The wines are sold by contacting John Myers at 971-241-2548 Monday through Friday 8-4. There is some retail and restaurant distribution in Oregon, Washington and California. 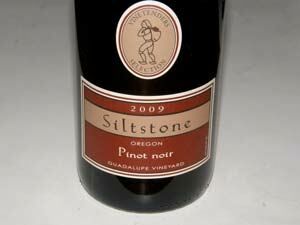 Siltstone has a tasting room at 213 Pine St. in Carlton opening in the spring 2014.